Whether located on-premises or in the cloud, today’s business relies on data and email collaborative services. Office 365 provides a secure and reliable suite of collaborative services at a lower cost than traditional licensing. Now is the time to plan out transitioning to Office 365. The majority of businesses use a phased approach when moving to Office 365. Initially email data and services are transitioned to Exchange Online. This first step paves the way for next phases. Based on business objectives, your Office 365 roadmap can include transition of unstructured files to SharePoint, implementing CRM (Dynamics), VOIP (Skype for Business), and much more. Let’s focus on the first phase of migrating email and collaborative services to Office 365. Moving your business data and services from one location to another begins with gathering technical requirements and dependencies. Overlooking requirements or failing to include dependencies within the project scope may result in a failed migration. A professional Office 365 migration company will have a detailed checklist of these dependencies and requirements to ensure all bases are covered for your unique environment. Aside from technical dependencies and requirements, the business itself can have requirements. Gathering business requirements involves collaborating across multiple departments and cross checking information received. 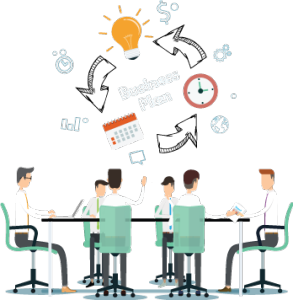 Performed expertly this planning stage can allow challenges to be identified and sidestepped, prevent scope creep and greatly increase business/user acceptance. It takes the right team or leader to ensure such requirements are sufficient to direct project success, while at the same time not hinder forward movement. Initiatives to migrate your business data and email services must include the above elements; however to ensure success requires more. Beyond technology and business requirements, there remain fundamental intangibles which make or break such initiatives. Transform to your business with Office 365 the right way. Call DTS today. Based on complete alignment with present and future business requirements, DTS’ migration experts provide a unique transition experience that fulfills 100% of the business needs while at the same time sidestepping unintended consequences. Businesses receive a tailored and highly effective solution ensuring a smooth transition of email services, while appropriately gauging and leveraging industry best practices.